A shortage of land drives many farmers to till on Haiti’s hillsides. But to be sustainable, hillside farming requires suitable crops and special techniques. DAI staff worked with hillside farmers to build this understanding. HAP’s market-based approach treated the hillside farm as a business, enhancing productivity through improvements in resource management, agricultural production, post-harvest technologies, and marketing systems. Target crops included mango, coffee, and cacao, along with several field crops intended for local and ethnic export markets. Strengthen institutions such as farmer cooperatives and private sector associations, which support both farmers and local communities. Increased environmentally sustainable agricultural productivity and the adoption of sustainable natural resource management practices. 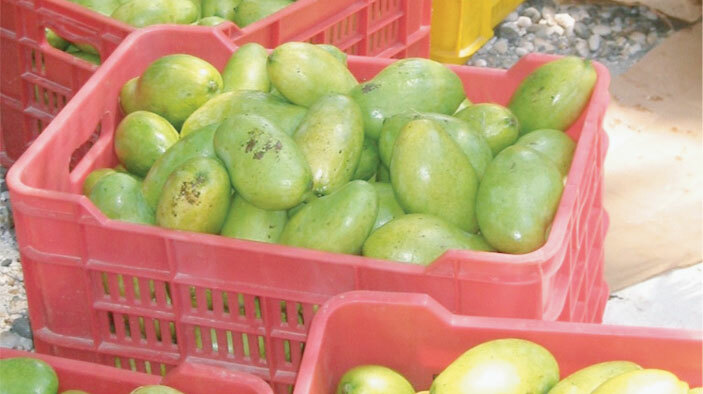 Small farmer clients increased their market share from 7 percent to 20 percent of total mango exports. By 2007, approximately 2.6 million boxes of mangoes were being exported annually, surpassing coffee as Haiti’s top export earner, with the value of gross sales approaching $15 million. Implemented a strategy for strengthening farmer and private sector organizations as a key element of improving production and marketing systems. Starting in 2004, the project’s jobs component provided more than a million person-days of work, amounting to $3.1 million in direct labor compensation.